Looking for new or replacement Toyota parts in the Las Vegas area? 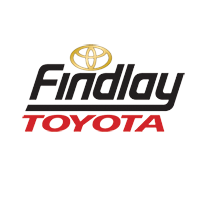 Whether you’re a DIY car enthusiast or are in need of a crucial replacement part, Findlay Toyota has you covered. Explore our special discounts on new Toyota parts below to save money on repairs or accessories. Our rotating auto parts discounts often include offers on parts for rugged Toyota trucks like the Toyota Tacoma or Toyota Tundra — but if we don’t have what you need on discount, get in touch with our parts department. Magnuson is proud to announce the Toyota Tacoma Supercharger System is now available for the 2005-2015 Toyota Tacoma 4.0L V6. 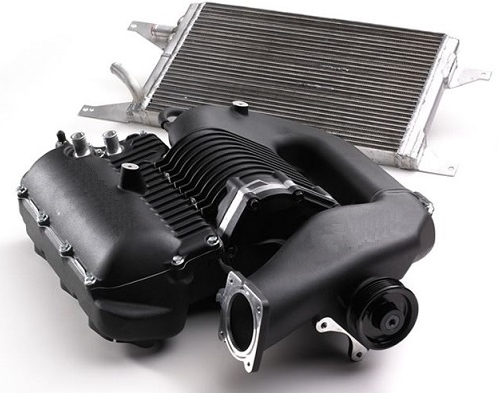 The OEM look of our integral supercharger system on this platform allows for a single large charge air cooler, a larger plenum and tapered runners just to name a few advancements. At around 6 psi, the Tacoma Supercharger System makes an amazing 305hp and 335lb-ft of serious truck torque at the crank, all with CARB certification (D-488-40). Since the supercharger does not compress air as it moves through the rotors, it’s extremely efficient during light throttle and cruising situations. Unlike screw-type positive displacement superchargers that are always compressing, the MP90 unit can internally bypass unwanted air, resulting in negligible parasitic loss during cruising and therefore far greater fuel economy. limited to in stock supply, additional fees may apply. We understand that some people will be tempted to shop for aftermarket parts for their Toyota car, truck, or SUV, but we would recommend opting for our Genuine Toyota Parts. Not only do our parts help protect you and your car or truck — your investment in parts are protected under the Toyota OEM parts warranty. That we also run special discounts on parts demonstrates our commitment to giving you the best possible parts at the best price. How Do I Reset a Maintenance Light on a Toyota? Where Should I Place the Jack to Change a Tire?